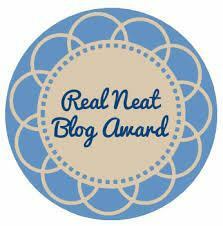 It’s always a nice surprise when you get nominated for an award, so thank you for sending the Real Neat Blog Award my way, TattoedBookGeek. It’s very much appreciated! – Thank and link the blogger that nominated you. – Answer the 7 questions that the nomination has provided you. – Create 7 questions for your nominees. – Nominate 7 other bloggers. 1. If you could make any book into a film/TV series, which book would you choose? This is a difficult question. See, whenever I like a book very much, I always imagine how it would do as a movie or tv show. In my head, it’s always amazing, but judging by the likes of Legends Of The Seeker, sometimes no adaptation is the best adaptation. But if everything would turn out how I envision it, I would love for The Night Circus to become a movie. The atmosphere of the book, the subtle magics, the setting, … I imagine it could be as magical an experience as when I watched the live-action Cinderella last month. 2. What’s your preferred reading format, book or e-reader? Book, definitely book. I do read an eBook once in a while, but I just can’t get used to it. I love the feel of a book in my hands, of flipping the pages, of seeing how long a chapter will be, … An eReader makes that a whole lot harder. Also, I love looking at my books and for that I need to have them on my shelves. I have this folder on my computer with eBooks, but browsing them is just not the same. 3. The book you were most looking forward to but ended up being really disappointed with? 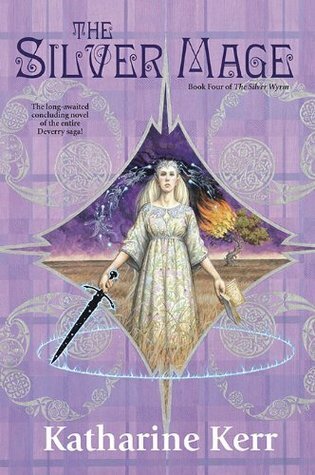 Last year, I finally finished reading Katharine Kerr’s Deverry series. A 15-book series taking place over the course of several centuries, following the same souls incarnating again and again to right an old wrong. Unfortunately, the final book fell so flat I couldn’t believe it. It was so disappointing, after ploughing through fourteen books having things coming to an end in such a way..
4. Favourite drink/tipple/beverage to have whilst reading? Anything goes, but I prefer a bottle of water or a cup of coffee or tea. Basically, what I drink all day. 5. What is your favourite genre of book to read? Fantasy. About 90% of what I read is Fantasy – both adult and YA – and whenever I branch out, I come back disappointed. 6. What book/series made you choose that specific genre? That would be Harry Potter and Goodkind’s Sword of Truth. My love for reading was kicked into the highest gear reading Harry, but when I was 15, I was looking for a book to bridge the gap between Goblet of Fire and Order of the Phoenix. Back then, my mum was subscribed to this bookclub magazine where you had to buy a book every three months. Wizard’s First Rule was promoted back then, so I decided to give it a go and fell head over heels for the genre and didn’t turn back from it. 7. Will George R.R. Martin ever finish (Game of Thrones) A Song of Ice and Fire series? Oh god I hope so. He must! I don’t mind him taking his sweet time, but I have invested so much time in this series I just need closure. 1. How do you pick your next book? 2. Which book/series do you consider a must-read? 3. What is your favourite childhood memory? This does not have to be bookrelated. 4. What is your quirkiest trait? 5. Which book is closest to you? How do you feel about it? 6. What part of the blogging experience do you like most? And least? 7. Random question: Favourite flower? Ana, Anna, Analee, RedheadedBooklover, Panda, Alyssa, Angie, Annemieke, Jess, Catia, Jesse, Joey, Jeremy, Nya, Kacie, CW, Bookkeeper’s Secret, Becca, Becca, Intro To Blurb, Codie, Chloe, Cori, Chelsie, Cinderzena, Lily, Proxyfish, Elza, Jolien, Mark, Betty, Gel, Emma, Michelle, Jonas, Melissa, Aentee and Kat. As per usual, I haven’t checked if you have already done this tag, so if you have or have no interest in doing this, just ignore it and no hard feelings. ← Friday Face-Off | Which Witch Is Which? Thanks for the tag 🙂 Books all the way! I’m on the team of those who only watch GoT and I’m kinda glad that GRRM has as least indicated how he wanted the story to end to the showrunners — at least I’ll get some kind of closure there haha. I’m pretty sure I would do anything for a Night Circus movie! !